A great night in Santa Barbara! We provided a custom gobo with the bride and groom’s initials on the dance-floor, draping on both walls, and up-lighting. Everything turned out looking amazing, and the guests danced the night away. Here are a few pictures and a small video! We provided our Ceremony Sound System along with lot’s of Up-Lighting against ALL the tress. 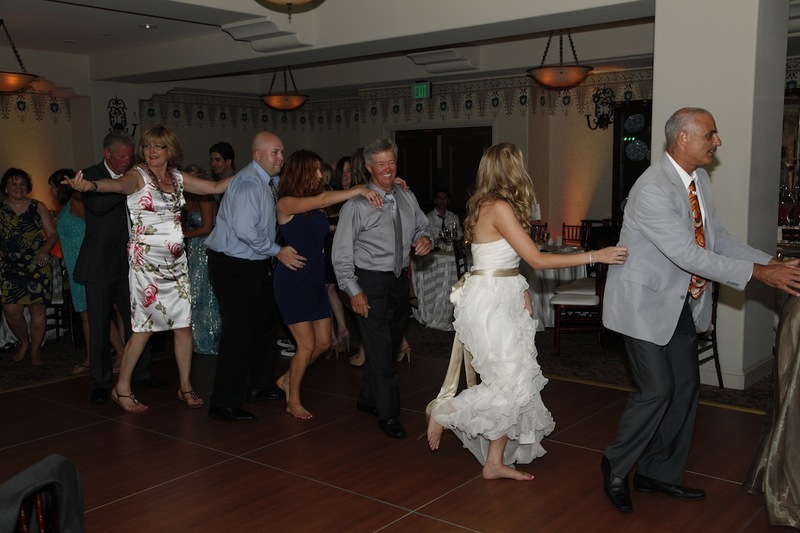 Everybody had a good time as friends and family danced the night away. Hear are few quick shots of the Cocktail Hour where we provided our sleek Bose Cocktail Sound System, and of course a few shots of the reception, where we provided Up-Lighting, DJ/MC!